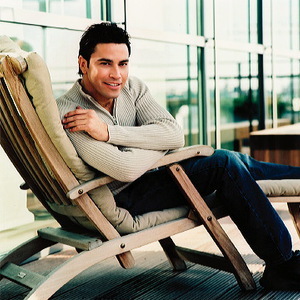 Mario Frangoulis / &Mu;?&rho;&iota;&omicron;&sigmaf; &Phi;&rho;&alpha;&gamma;&kappa;&omicron;?&lambda;&eta;&sigmaf;, born 18th December 1966 in Africa, is a Greek song writer, gifted tenor andartist. He was brought up by his aunt and uncle in Greece. He studied drama and violin, won opera awards with his voice and took part in many musicals, plays and operas. He combines pop with opera and sings in English,Spanish,Italian,Greek,French and sometimes others.